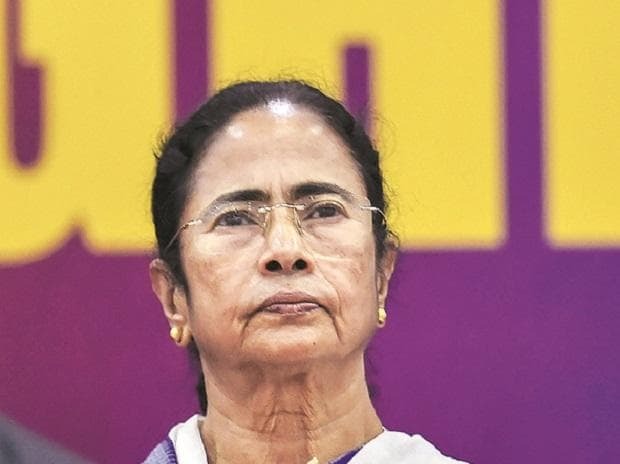 After raising questions on the timing of the devastating Pulwama terror attack which claimed the lives of 40 CRPF troopers, West Bengal’s chief minister, Mamata Banerjee again hit at the centre alleging that despite having prior information about the attack, the government did not resort to prevent it. “We condemn the Pulwama attack. Where were you (prime minister) Modi when this had happened? The government had prior information and you (Modi) knew about it. So why didn’t you (Modi) airlift them, or sanitise the roads or do naka checking? You (Modi) cannot do politics with the blood of the jawans”, Banerjee said during a crucial extended core committee meeting of her party to lay down the roadmap for the upcoming general elections. Dilip Ghosh, state president of the BJP in West Bengal hit out at Banerjee stating that when the entire nation wants to avenge the terrorist act at Pulwama, Banerjee is creating dissidence. “She should clear her stance today if she is with Pakistan,” Ghosh said. Banerjee alleged that while Modi claimed to be talking about peace, the BJP is trying to create a “war-riot kind of situation” in the country at a time when elections are near. She alleged that leaders of her party – the Trinamool Congress (TMC) - are getting calls luring them with offers of cash for changing political affiliation and huge amount of cash is entering West Bengal via railroads besides other means to transport. According to the chief minister, the RSS and other groups of religious fundamentalists have been spending huge sums of money to create tensions in the state. She asked her partymen to report to the police once they detect or suspect any outbreak of religious tensions and in case the police fails to act on it, report the same directly to her. Recently, in course of the ongoing CBI investigation on the Saradha chit fund scam, the BJP has been questioning the alleged role of TMC leaders and others in ponzi scheme scams which total over Rs. 50,000 crore. Despite the Mahagatbandhan, comprising of several opposition regional parties negotiating with the Congress to take on the BJP led NDA alliance in the forthcoming polls, Banerjee said that the Left Front will connive with the Congress as well as the BJP for political gains. She assured TMC leaders and Parliamentarians that those who have “worked”, will get a ticket and asked her partymen to support the selected candidates burying factionalism within the party. ALSO READ: Is the window for military action against Pakistan shrinking? After Farooq Abdullah and other opposition leaders, in a mega rally last month, alleged possibility of rigging of EVMs and electronic vote counting machines, Banerjee instructed three senior party leaders to form a core team to train delegated TMC workers on the functioning and nitty-gritties of EVMs to prevent alleged tampering of these machines. These people will be trained for two hours at the TMC headquarters in Kolkata.